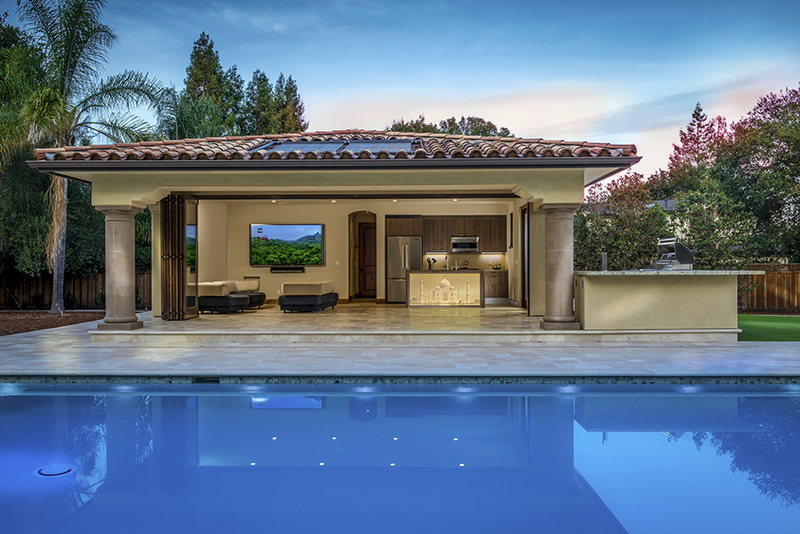 Spectrum Interior Design in Los Altos partnered with Porcelanosa’s own senior kitchen designer Amandine Tosello, from San Jose/San Francisco for the new construction of a residential interior/exterior pool house kitchen located in Saratoga, California. 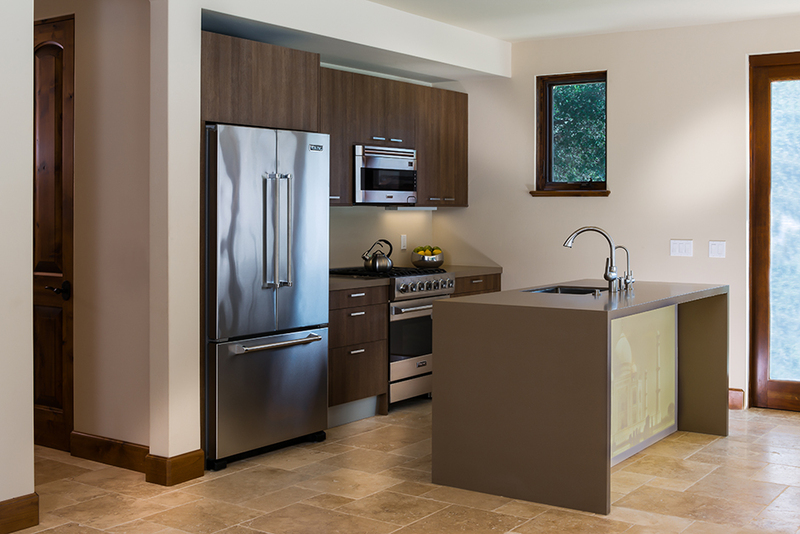 Working together, the team created a custom kitchen using Porcelanosa’s Residence kitchen cabinetry in Camel, a laminate finish, paired with a Krion® solid surface material in Mocha Concrete. 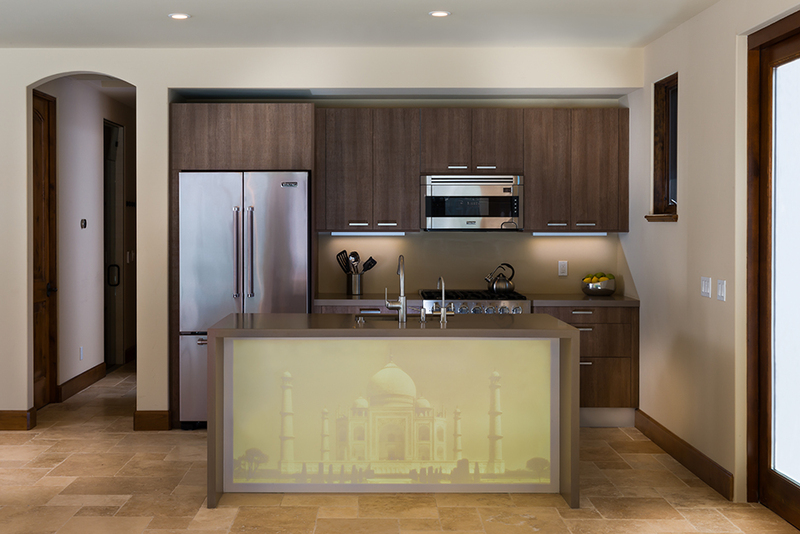 The true masterpiece of the project is the Taj Mahal imprint that is molded onto the Krion® solid surface in Pearl, fabricated by RD Wing. The inside molded panel is a rough in texture, but the outside is smooth, allowing it to be easily cleaned. The Taj Mahal Krion® imprint was then backlit to provide a beautiful artistic focal point on the island with a simple on/off switch.